Sleep is an exceptionally important part of a healthy lifestyle. Getting plenty of sleep will help you to feel fitter, healthier, and happier while helping you avoid both physical and mental illnesses. Sleep is also vitally important for your internal organs as well as your skin and hair. If you are regularly struggling to get a good night’s sleep you could quickly start to look and feel unwell. So, here are some great tips to help. Routine isn’t just important for children. Getting into a good routine helps your mind and body adjust. You’ll find your body starts to expect a set routine and reacts accordingly. Try to go to bed at the same time every night, and wake up at the same time every morning. You will soon find you’re falling asleep easily and waking up without alarms. Watching what you eat and drink can make a huge difference to your sleep patterns. Try to limit your caffeine intake and cut it out completely after dinner time. Avoid sugars and foods high in fat, and swap your bread, rice and pasta for their brown alternatives, which have slow release carbs helping you to stay energised throughout the day without any nasty comedowns. It’s thought that getting just 10 minutes of cardio exercise a day can help you to get a great night’s sleep. Try a couch to 5k program, or try taking some brisk walks or going swimming to get started if you’re not used to exercising. Your bedroom can also influence how well you sleep. Start with your bed. You need to get a good mattress which helps you feel comfortable while supporting your back and neck. You’ll also want to get high quality, soft bed linen and good, supportive pillows. Next, look at the layout and décor of your bedroom. Ideally, your bed should face the door so it welcomes you into the room immediately, getting you in the mood to sleep. The room should be uncluttered, tidy and decorated in relaxing and soothing colours such as light blues or lilacs. Try not to have a clock near your bed. Being able to see the time can lead to worry and stress. If you are struggling to sleep seeing the time can make you worry about the day ahead. You’ll almost always start to count down the hours until you must get up. This will increase your stress levels and make it even harder to get to sleep. Avoid technology in the bedroom. Keep it as a space to relax and sleep only. Don’t work in the bedroom, and don’t lie in bed looking at your phone. Looking at computers and other devices before bed can make it incredibly difficult to get to sleep. Both because the content you are viewing stimulates your mind, and the blue lights coming from the screens themselves can make it difficult to switch off. Try to have a cut off time for all technology, then spend the rest of the evening resting. 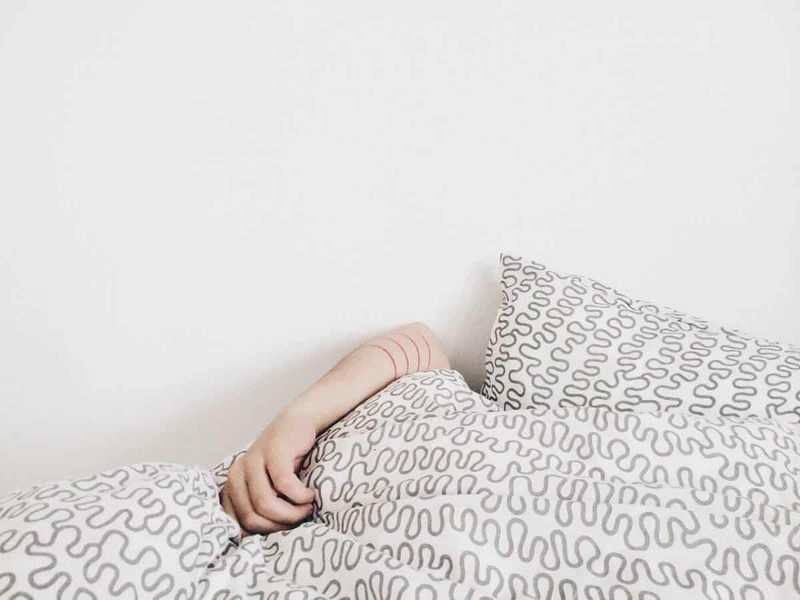 If, after making these changes, you are still having trouble sleeping, speak to your GP who may be able to offer you further advice and guidance.